The Yorkshire Sculpture Park to be precise. I walked further than I expected, but it wasn’t a problem, the day was bright and crisp. I was bewitched by an ‘intervention’ by David Nash. Made from oak that is charred and oiled they follow the lie of the land. 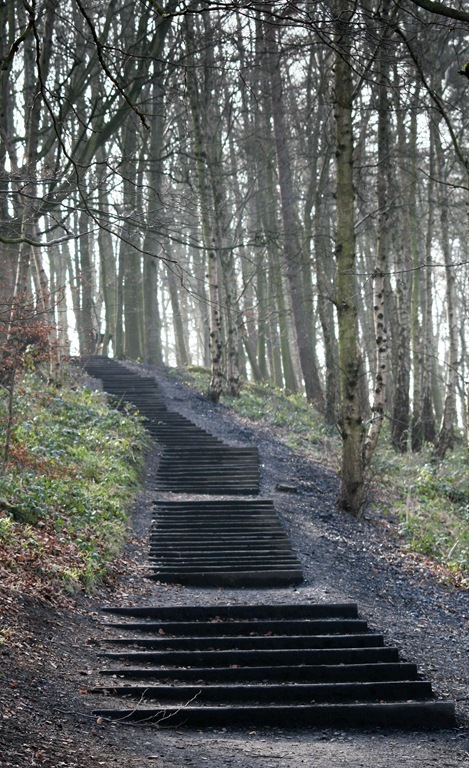 The steps are set into 30 tons of coal, they will weather and erode into the landscape. Climbing them, they felt were quite magical. They are no ordinary steps. I thought the woods at the top of the steps were rather magical too. I loved the gnarled roots. 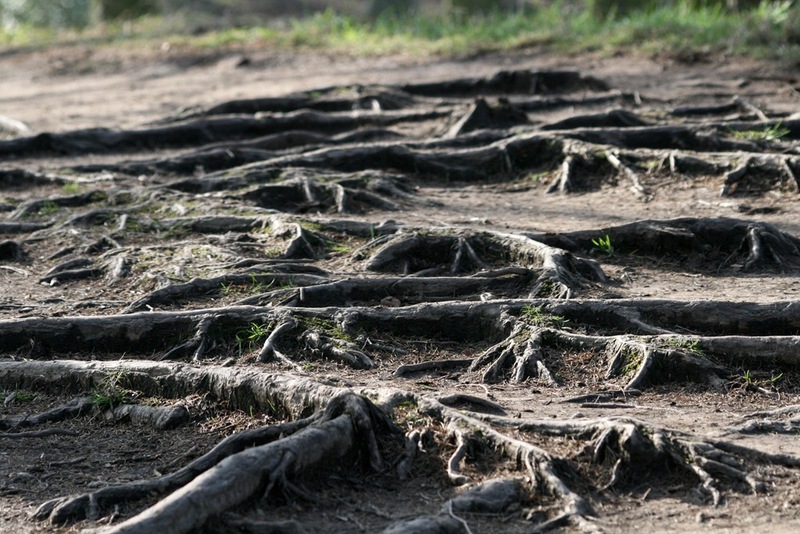 I’m sure I heard somewhere that 90% of a trees roots are in the top two feet of the soil? Duncan obviously like it here, once upon a time. Categories: Art, Away Days, Found objects, Landscape, Sculpture, Trees, Yorkshire | Permalink. 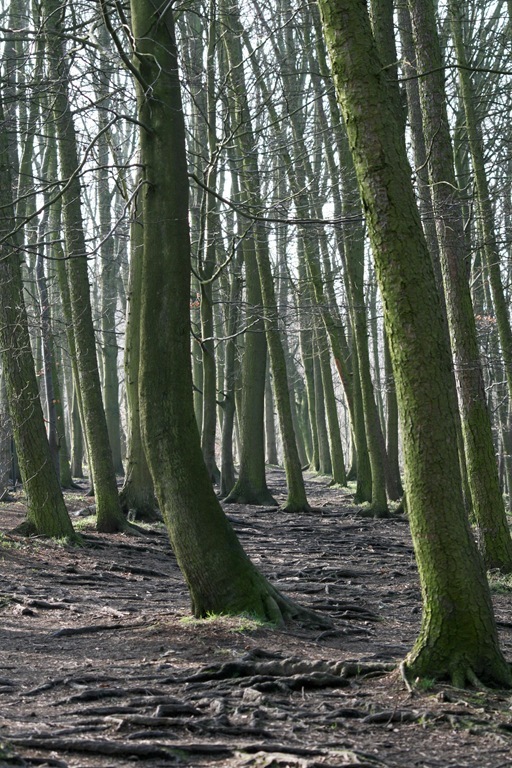 The YSP is a great place for a wander – I like to try to get there a couple of times a year. The mix of man-made and nature’s sculpture can be amazing. Those are beautiful steps. Your park experience is making me itch just a little for spring. Just a bit. I would like to visit that wood. I have read about this place…on other’s blogs. Now I have the urge to visit! We missed those when we visited. You must have walked a lot further than we did, which was already a long way. Thanks for going that extra mile! 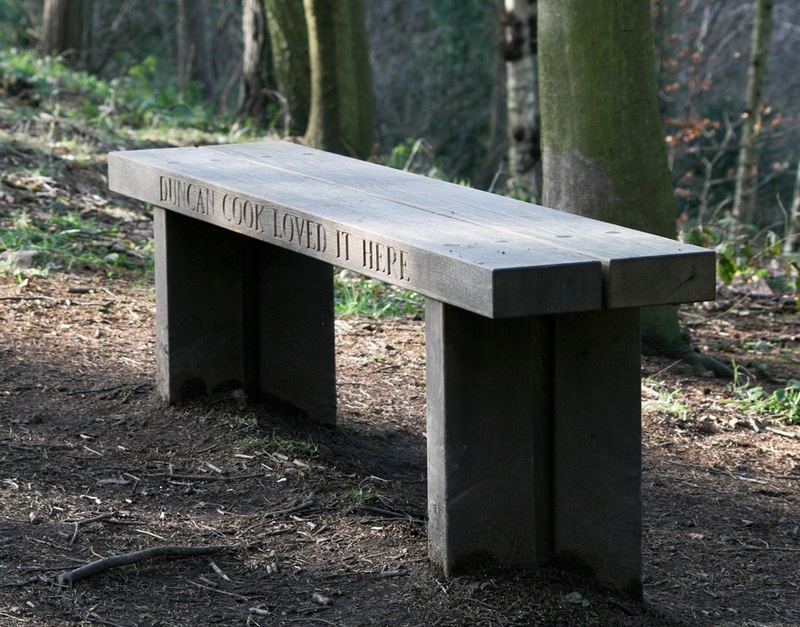 The inscription on the bench is a lovely thing – an ideal way to pay tribute to someone. I hope to try and visiit whilst I’m here, missed your post in my reader.